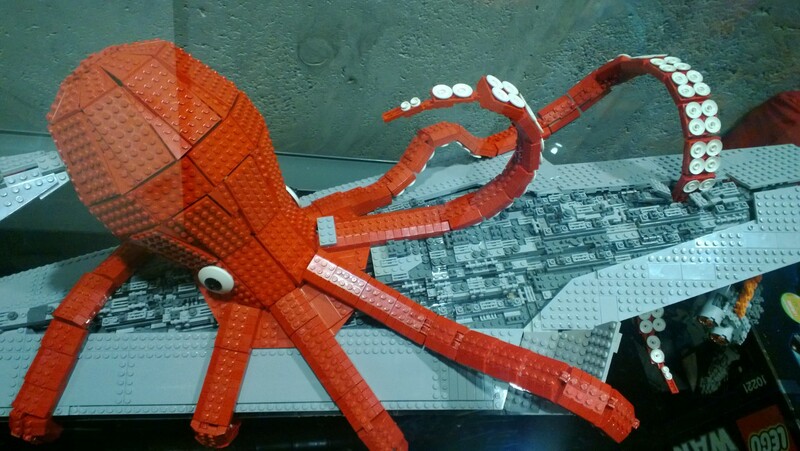 That idea really struck a chord with me, and soon after that I saw this Lovecraftian lego sculpture at the business where my oldest daughter works. Words are just building blocks. The magical comes from the way we connect them, and they can be put together in an infinite number of ways. So all I have to do is snap those bricks together and build a story. Edit, and take them apart. Rearrange and build some more. This is fun, like building with Lego. This entry was posted in Writing Path and tagged edit, writing, writing workshop. Bookmark the permalink. Thats a great octopus! Can you tell us how you did it? Our son would love to get the similar one for his birthday! And we are desperate!! Thanks a lot for your answer! 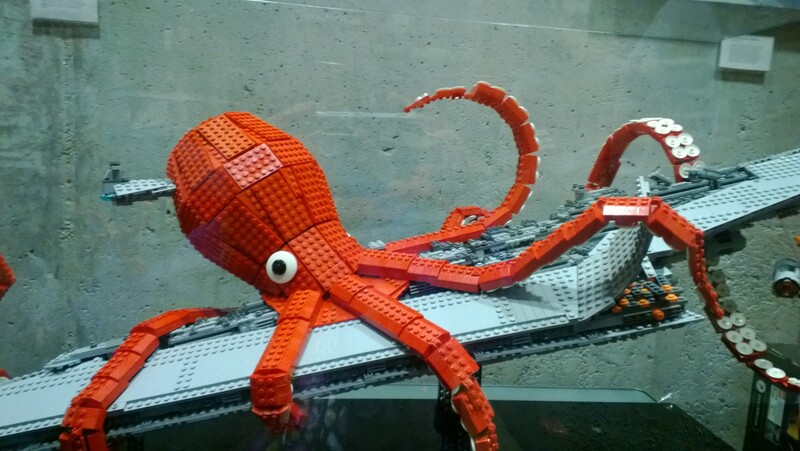 Sadly, I did not build this Lego octopus. I photographed this sculpture that was on display in the lobby of Tableau, a software company in the Freemont area of Seattle.